Wonderful 3BR 2.5 Bath Gem with Separate One-Bedroom Suite! Amazing and rare 3 bedroom 2.5 bath apartment on the 10th floor of a luxury full-service co-op, with a large, completely separate 4th bedroom 1 bath suite on the 1st floor for use as maids or guest quarters, or a home office! Residence 10A enjoys a classic layout with generously-sized rooms, walls of windows, double exposures, and beautiful hardwood floors. An entryway lined with closets welcomes you in and leads to the gracious central gallery. An expansive light-filled living room and formal dining room with lovely built-ins sit on either side for easy entertaining. Off the dining room is a modern windowed kitchen styled with stainless steel appliances, granite countertops, decorative tile backsplash and a sizable storage pantry. Down the hall sits the sunny master bedroom with exceptional closet space, including a big walk-in, as well as an elegantly-appointed private bath with an oversized shower. Two additional bedrooms feature tasteful built-ins and ample closets, with a desk/workstation area in the northern bedroom and an en-suite full bath in the southern. A powder room off the hallway is conveniently positioned for your guests; plus theres an in-unit washer/dryer, and closets galore throughout. 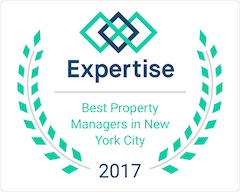 Ideally located on East End Avenue right near Carl Schurz Park and the East River Promenade, 75 East End Avenue is an established, well-run cooperative on the Upper East Side of Manhattan. The building offers a 24/hour doorman and concierge, live-in superintendent, state-of-the-art gym, roof deck, a central laundry room, bike storage and a storage room. Fine shops and restaurants, schools and public transportation are all right nearby. Pets are allowed.